Bunnies. Soft, fluffy bunnies with floppy ears and big brown eyes. They're up there with pandas and kittens and polar bear cubs in the aww department. And yet, I learned today, angora rabbits - even softer and fluffier than your bog-standard bunny - are having their fur torn off every three months by workers in China to supply the demand by fashion houses in the UK and presumably elsewhere in the western world. Ripped out, by hand, while the rabbits scream, and are then shoved back, totally traumatised, into their little cages. According to SumOfUs, companies like H&M and Topshop have stopped stocking angora garments from this source, though Zara, to its shame, still sells them. With China's long history of abuse of human rights, it maybe seems a bit trivial to bother about the rabbits. It's not as though there isn't plenty of horror in the clothing industry in many other countries as well; but I'm particularly attuned to Chinese abuse of animals, both direct and indirect. 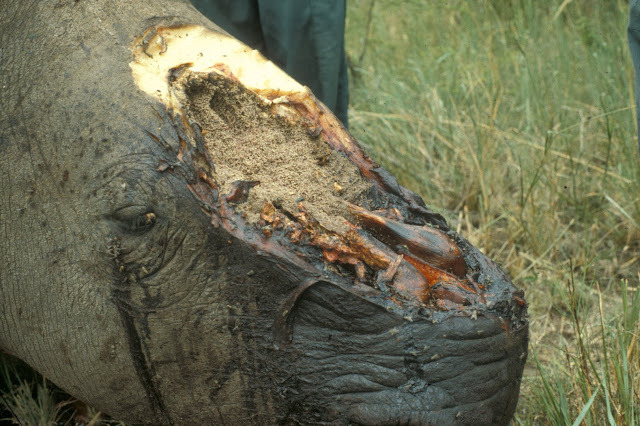 Of course there's the indisputable fact that China, closely followed by Vietnam, is the major market for rhino horn. It has been for a very long time, as a traditional medicine (odd, how the Chinese, so clever at so much, haven't sussed that keratin does nothing for fever or anything else. It's fingernail, for goodness sake!) - and now, with increased affluence, the demand is even greater. Having been to South Africa and been literally awed by seeing rhino in the wild - so immense, so ancient, so inoffensive - and meeting some of the people who risk their lives daily to protect them from the poachers, I'm thoroughly disgusted that in the 21st century this is still going on. The rhino will all be gone in 10 years at this rate. And so, I read elsewhere yesterday, will the elephant, currently still in large numbers but being poached so much faster that they too are doomed. Again, so the Chinese demand for ivory can be sated. It's all about money, of course, all along the line from poacher to purchaser. But it's not just the greed that's so dismaying: it's the total disregard for animal rights that incenses me. When I was in China, I saw no wild birds, but plenty imprisoned in tiny, tiny cages - in Macau, I came across some left on the grass in a park, for the fresh air, I presumed, that I was really tempted to let fly free. But in Qingdao, even worse, I found a man selling baby goldfish sealed alive inside small water-filled plastic pouches attached to keyrings. As a symbol for Chinese (dis)regard for animals, I think that's an image even more powerful than a screaming rabbit.